Kevin Macdonald’s credits speak for themselves – he’s the director of The Last King of Scotland, the film for which Forest Whitaker won his Best Actor Oscar, and has a golden statue himself as a producer on 1999’s best documentary One Day In September. But perhaps its that very tendency to move back and forth between the narrative and documentary forms that contributes to the issues with his apocalyptic near-future teen love story, How I Live Now, which premiered at Toronto International Film Festival. How I Live Now is an adaptation of Meg Rosoff’s young adult novel about (like its author) an American girl living in London when (and this is where situational comparisons end) a nuclear attack leads to the beginning of World War III. 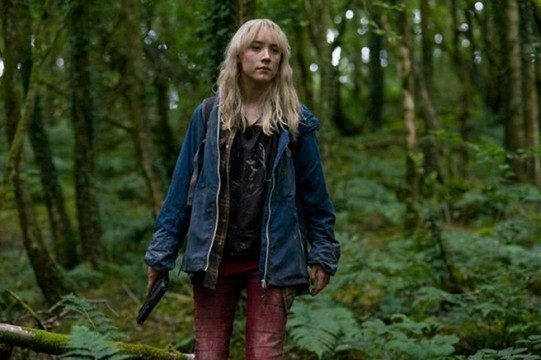 Saoirse Ronan (The Host, Hanna) plays Daisy, a disinterested and despondent American teen sent to spend the summer with her cousins in the English countryside. She quickly begins flirting with Edmond (Goerge MacKay, Defiance), but the outbreak of the war sends them separated by the army. Daisy and her young cousin Piper (Harley Bird) escape the work camp and venture through the nuclear winterized countryside with the hope of reuniting with Edmond. 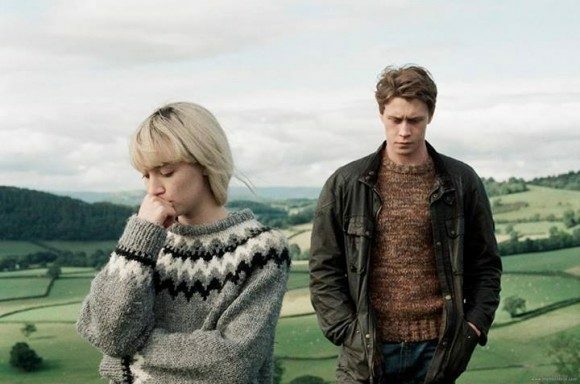 Content issues that muddle the intended audience have made many pundits leery of the box office potential of How I Live Now, but Magnolia Pictures will be releasing the pic this fall, likely counting on the draw of the rising star and indie darling Ronan. Certainly, they’re hoping for a release more reminiscent The Hunger Games (incidentally, it beats Catching Fire to theaters by two weeks) than this summer’s The Mortal Instruments, which saw its sequel delayed this week after the first film’s poor performance.